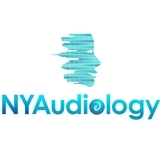 NY Audiology (Flushing) - Book Appointment Online! We are here for one reason - to help you hear what you love, and love what you hear! We utilize our special brew of state-of-the-art technology and old-fashioned service to assist our patients with rediscovering the gift of sound. After all, that's what really makes our day!